On “Bad Habit,” Your Smith tells us that love is her favourite way of breaking the rules. Bad habits are the ones we love to have but need to break. They hold within them a tension of giving us comfort or a good feeling while simultaneously somehow holding us back, and we choose whether to indulge completely, to change our ways, or to teeter the fine line between both. For Caroline Smith, aka Your Smith, her bad habits are centred around love. 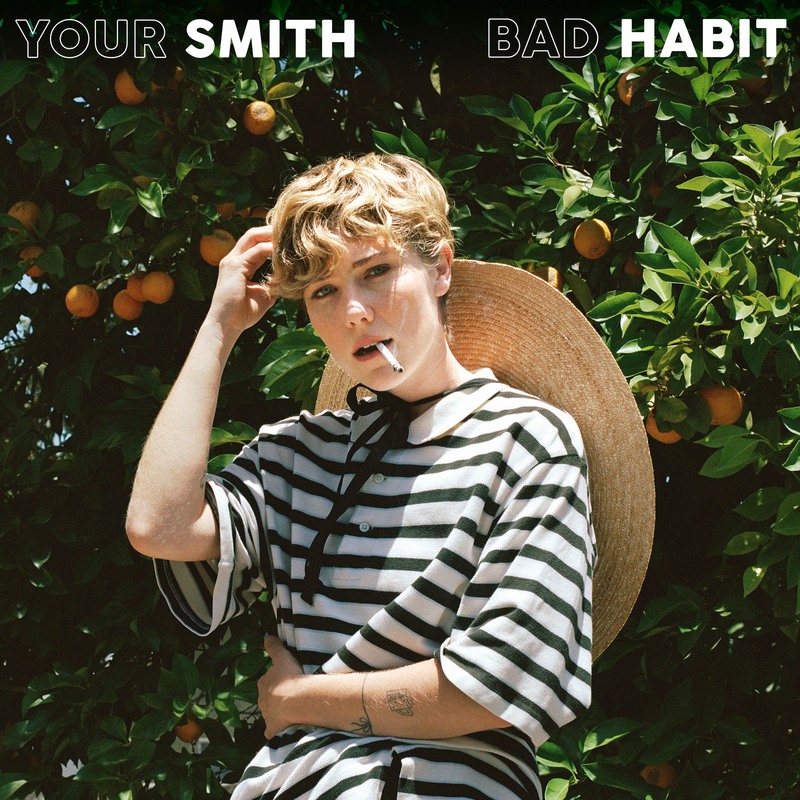 On “Bad Habit”, the lead single and title track of Your Smith’s debut EP, Your Smith tells us her bittersweet story of romance in a track that oozes the charm of French classic pop and the warmth of a perfect summer day. With her soft and romantic voice, Smith starts the song by painting pictures of a warm, romantic, sunny day in California. It’s the kind of start of a song that lends itself to vintage video footage of smiling couples at the beach, driving with wind running through their hair, conveying a sense of freedom and absolute joy. The song hugs you from it’s first seconds, allowing you to bask in its sentimentality and honesty without making you fear that something will go wrong. On the chorus, Smith’s voice is layered, creating harmonies that fill up any room and completely envelop you, sucking you into the song even more. The chorus is the song’s most vulnerable moment, where Smith opens up her heart by listing her bad habits and yet confessing that her love is the worst one, the one that leaves her the most fragile and she loves indulging in. Love is her favourite way of breaking the rules. On the second verse, the romantic scenes move from the outside to inside, and we’re privy to witnessing quiet and private moments between Smith and her partner. Smith describes their interactions, dancing to Carole King and things her lover would say to her, making the listener fall even more in love with their relationship through Smith’s eyes. The song’s bridge changes the tone of the song, stripping it back to voice and synths. The quality of the narrative changes as well, as we see a side of Smith that’s more skeptical about her relationship – she “refused to read the warnings” and it appears that the relationship has come to an end. She’s looking back at all the moments she pointed us to before, but she’s taken off her rose-tinted glasses and questions her past actions. “Bad Habit’ is the perfect love song for the end of summer and the start of fall. It is equally as shy as it is indulgent, and manages to make you feel Smith’s infatuation with her partner while still not shying away from questioning whether it was all worth it at the end. It’s a song that oozes romanticism without losing its coolness, and establishes Your Smith as a young voice that’s modernising what we define as pop music, proving that simplicity sometimes is key.